The Lemon Twigs are ramping up to the release of their sophomore LP Go to School, and they've just unveiled a round of supporting shows. They'll hit the road across North America this fall, then return for a second leg in the new year. Following an album release show in Brooklyn, the initial string of North American shows starts in Los Angeles on October 15. After a Montreal stop on November 11, the duo will take a break over the holidays. They'll start back up again in the new year, beginning in Boston on January 14 and making eventual Canadian stops in Toronto on January 22 and Vancouver on January 30. Tickets for the upcoming shows go on sale to the general public this Friday (August 17) at 10 a.m. local time. See the full list of North American dates below. 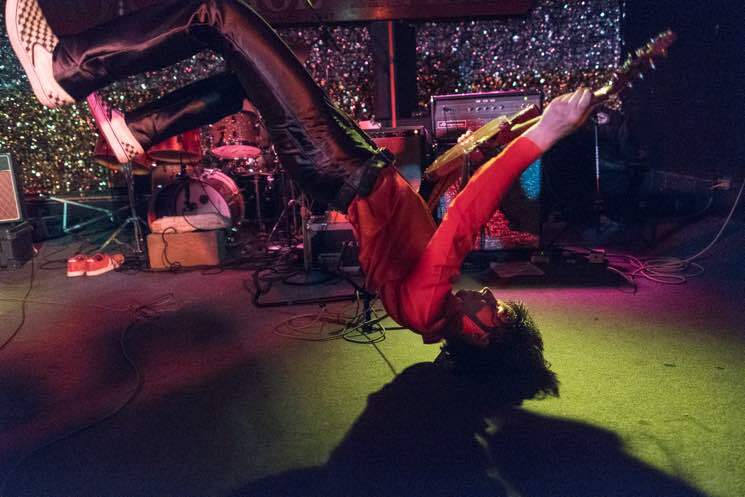 In addition to unveiling tour plans, the Lemon Twigs have also shared another cut from their upcoming record. Stream "The Fire" below. Go to School is due August 24 via 4AD.